I am finally getting around to posting about my newest Lekala 4099. My husband has been occupying the computer lately with his desire to learn SQL. 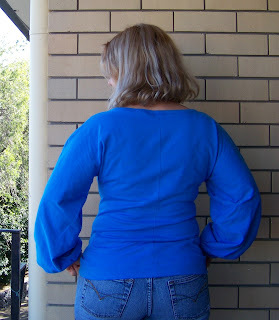 This version has a centre front seam as I couldn't fit is otherwise. I wasn't so sure about it at first, but it seems unobtrusive, so I'll see how I feel about it in a couple of weeks. I made it a little tighter then the black one, because the jersey relaxed and I need to resew that one as part of my next mending Monday maybe. I am not very good at this taking pictures of myself business really. I am looking at my back thinking 'Why oh WHY, for goodness sake, didn't I smooth out THOSE wrinkles in the back"
Hi, the worse part of blogging is the taking photos of yourself - it seems so self obsessed. 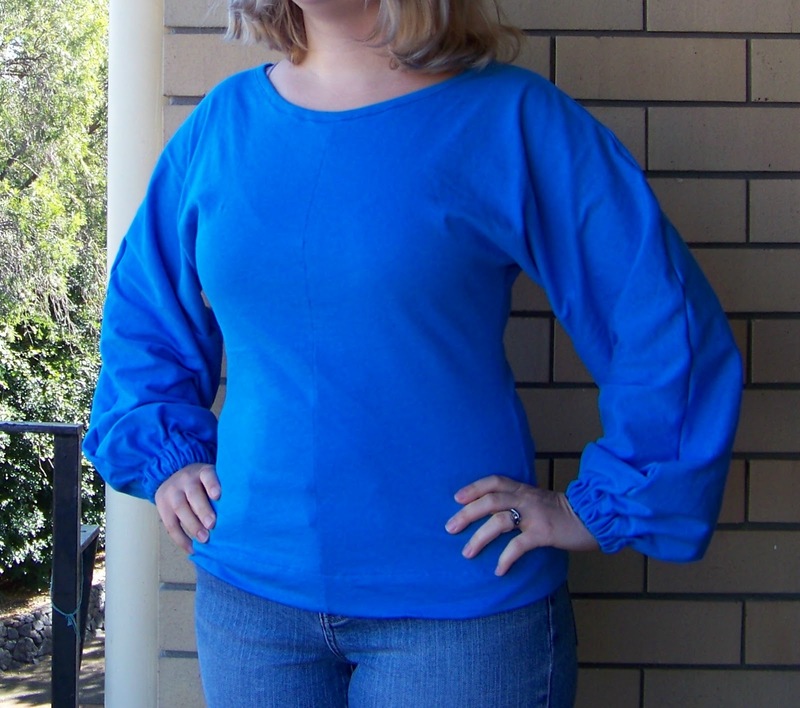 The top is lovely though - I think I would just get on and wear it while the weather is cool before putting it back on the mend it pile. I think whenever we finish something we always think we should alter/improve it - but it looks lovely. Especially for the first time around.